This exceptional hull provides excellent stability at rest, while fishing, drifting, and planes with minimal effort to get underway. There is knowledge and strength in shown in our practicality. We stay focused on building a great boat at a great price and accomplish this by keeping the bells and whistles to a minimum. NO FLUFF. 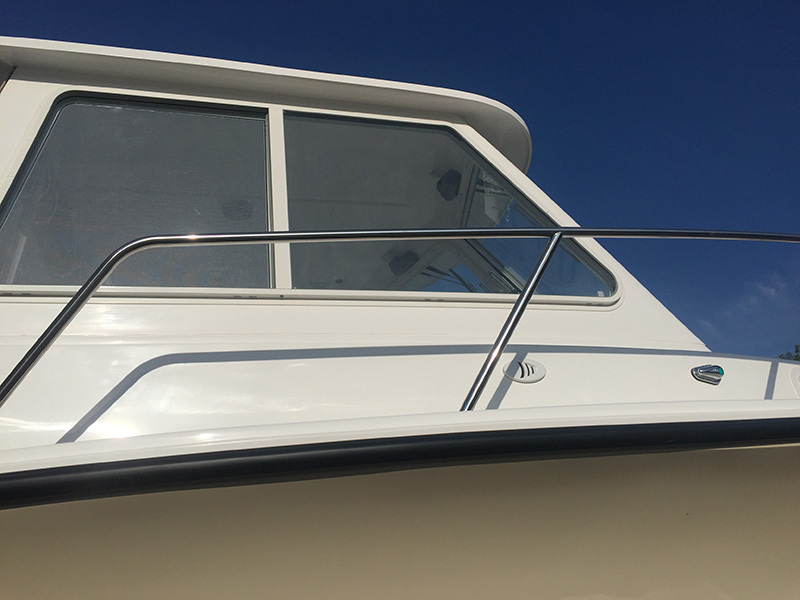 6'4" headroom in the pilothouse and 360 degree visibility, sliding windows for air flow, and a clean efficient helm area. Wide open throttle is 37kts/43mph pending your choice of horse power. “We did the Big Game Battle this past weekend. A fundraising tournament where we raised over $200,000.00 for the Dana Farber Institute for Leukemia. I left the dock in that boat from Nantucket Thursday night at 11:30 at night and ran eighty miles to the south to Atlantis canyon and we trolled from the tip of Atlantis all the way down to the bottom, about thirty miles, and then trolled back up in between East Atlantis and West Atlantis- all the way back up to the flats, about thirty miles, and then ran another eighty miles home. Only burned one hundred and ten gallons of fuel on that boat (NorthCoast 23HT). Long trip, the boat ran great, we had a great trip, but we only got a couple of Mahi. We had three Mahi Mahi and a couple of other knock downs. Other times we’ve gone to the canyons in that boat (BIG EYE) and I’ve caught trophy Marlin, Yellowfin, Wahoo, Mahi-Mahi, Mako Sharks, coming up on troll.” - Bill Holland "BIG EYE" Chatham, MA.